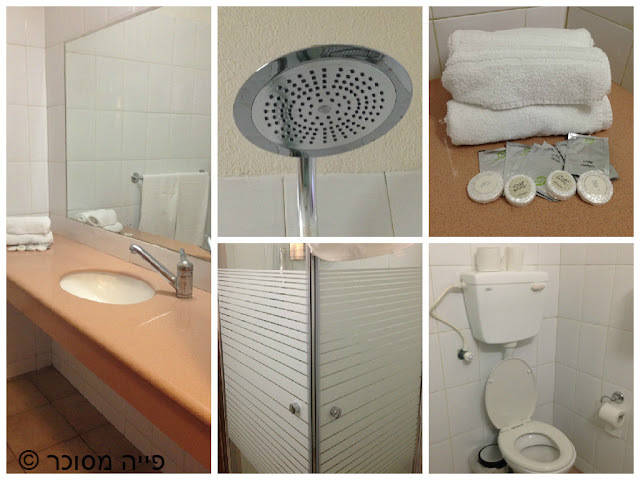 Home attraction children hotel israel israel hotel north israel Manara Lodge – the action is all inclusive! Manara Lodge – the action is all inclusive! Like action? Looking for the best deal? 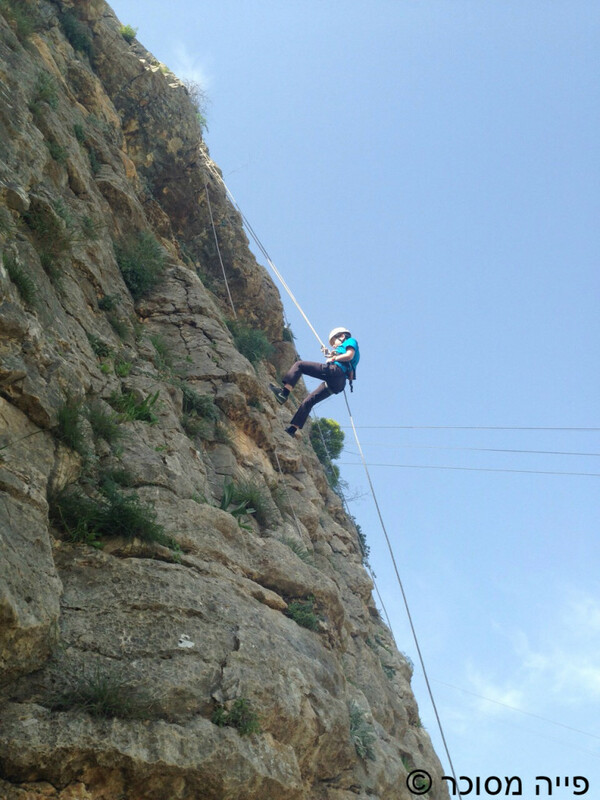 At Manara the action included in the price of the stay! everything! 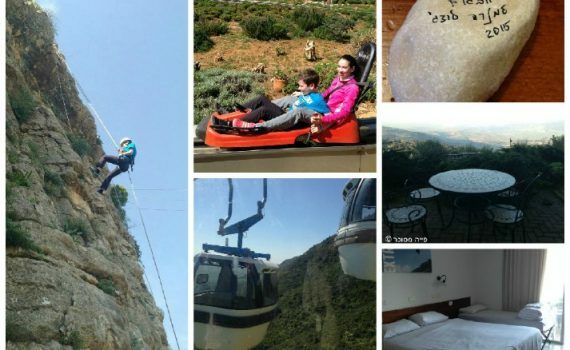 Zip wire, rappelling, climbing wall, cable car, mountain slides, Bungee trampoline and more attractions! For adults and for the little ones! And as much as you want! Recently, I was invited to stay at Manara Lodge and try out the new “all inclusive action” concept. Manara is located at a height of almost 900 meters, making it the place you want to spend the hot summer evenings! And there is also a swimming pool. 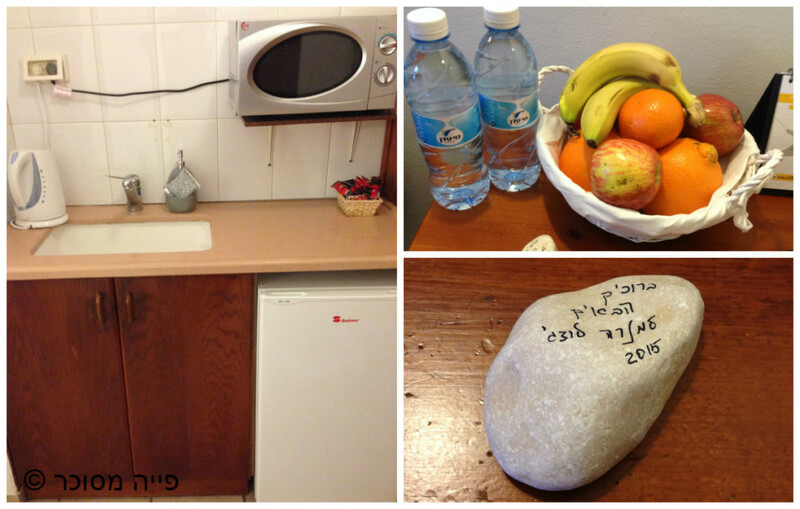 Near the summit, you will find the admissions office with a small club and a synagogue. Reception has a computer with internet and it’s also where Wifi is available (for free) in the Lodge. 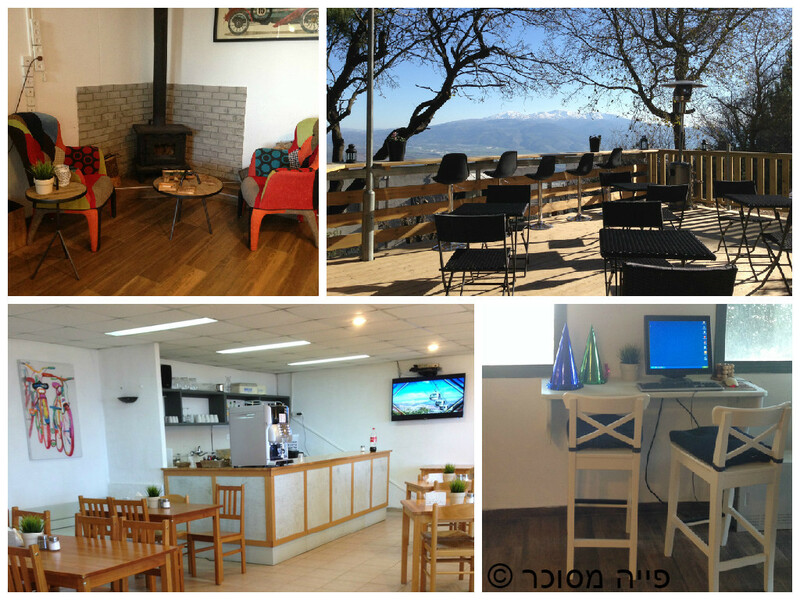 We stayed in “The Views” (Nofim) rooms, which are refurbished and upgraded rooms that have stunning views to the valley and Mount Hermon (there are other types of rooms, you will need to check with the office what their level and accessories). The room has new ceramic flooring and enough place for 4-5 beds. 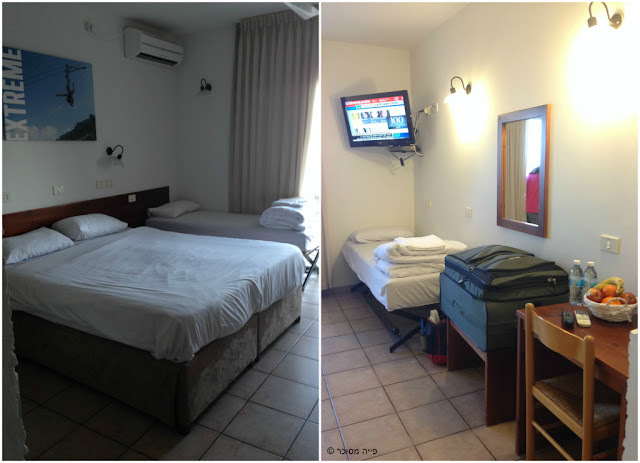 There is a flat-screen TV with a variety of channels, air-conditioning / heating, a closet and a kitchenette that includes a kettle, small fridge (minibar) and microwave. This enables cooking light meals. The room has a spacious bathroom with a huge mirror. Everything is new. Our room had access to a the yard with an elegant table, near a garden with picnic tables for barbecues. 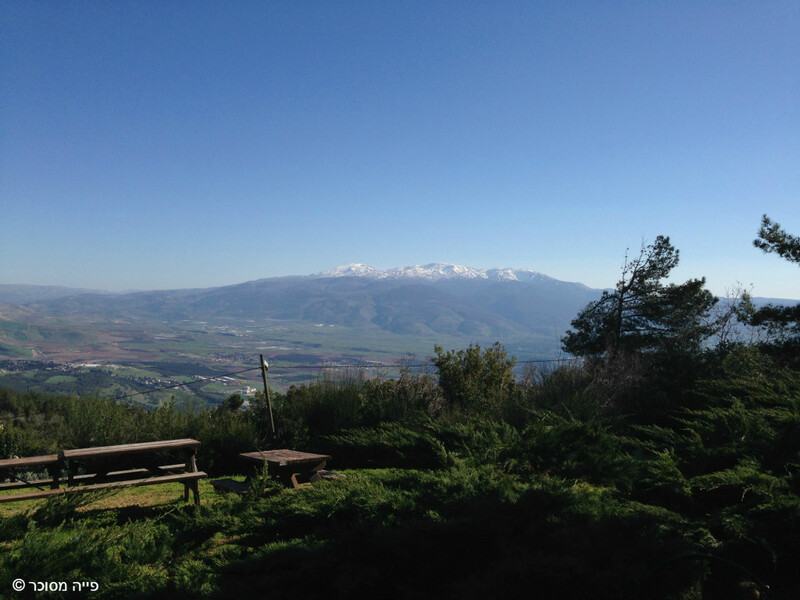 Stunning scenery of Mount Hermon! 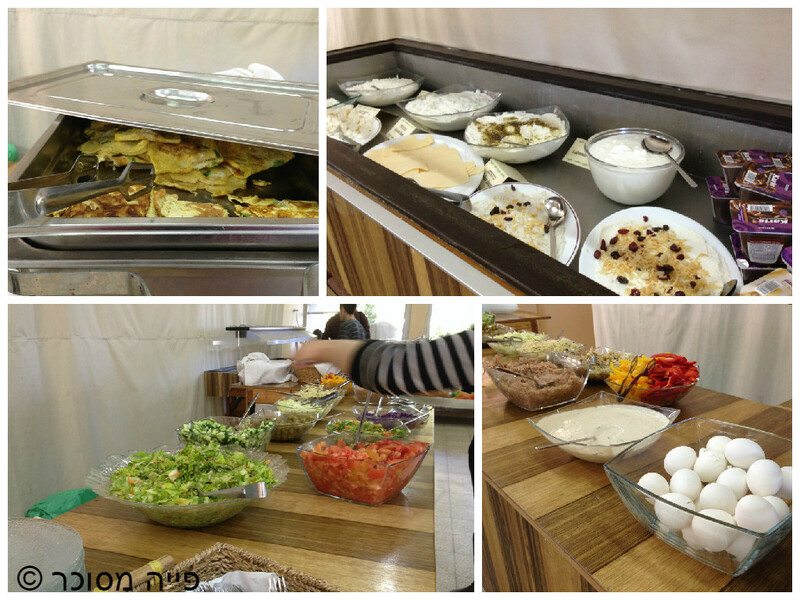 The breakfast is as customary in Kibbutz and is kosher. 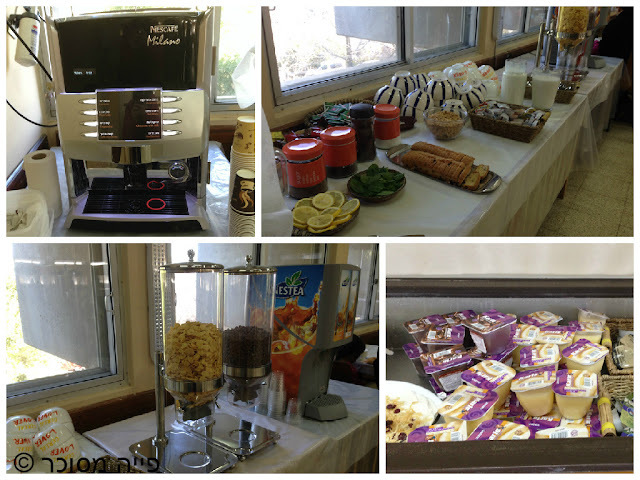 There are rolls, cheese, lots of vegetables, cereal, tuna, hard boiled eggs, omelettes weekdays and excellent coffee, and. Under the dining room there’s a mini market. 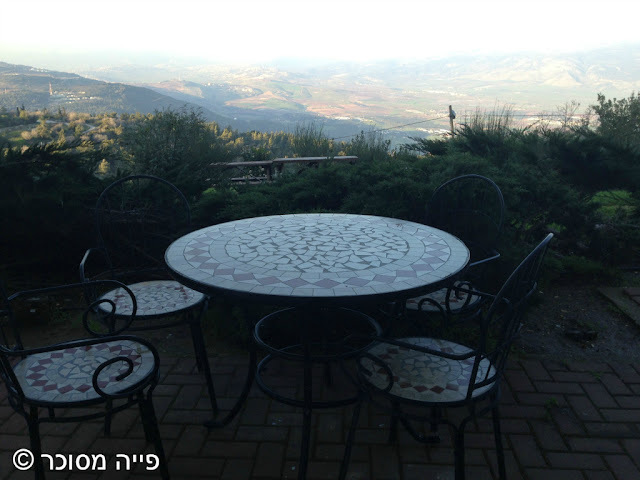 Now, to the reason to stay in Manara – the attractions! from the room, a short walk of a couple of minutes leads straight to the upper station of the cable car. In this station there a mini-train with a tour, walking trails, and different attractions for the little ones, depending on the vacation/holiday, a coffee shop and a restaurant. 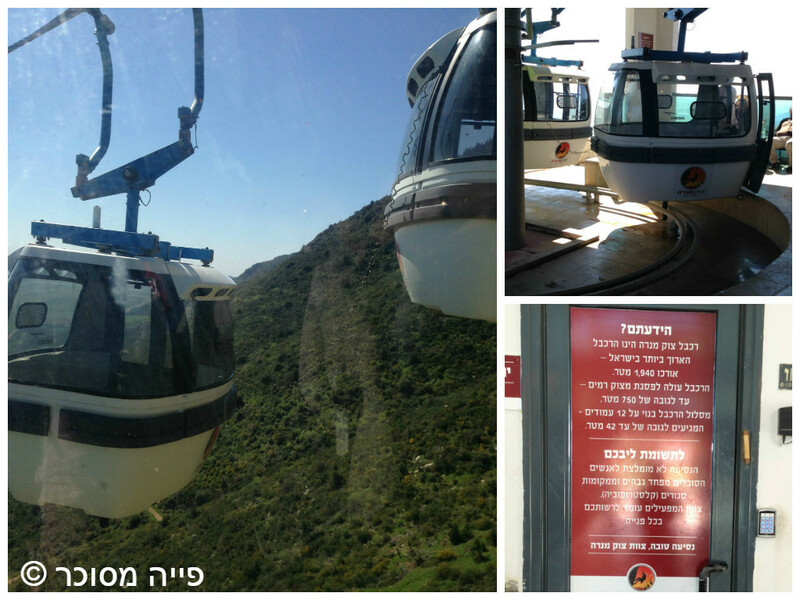 Manara’s cable car is the longest in Israel (almost 2km) and climbs 750 meters up. 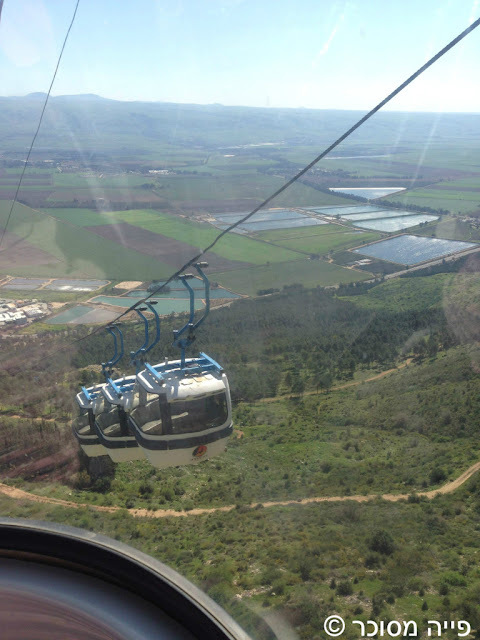 It has 12 gondolas reaching 3 stations – the upper one (accessible by walking from the lodge), the middle station (extreme) and lower station (action and access to Kiryat Shmona and the shopping mall). 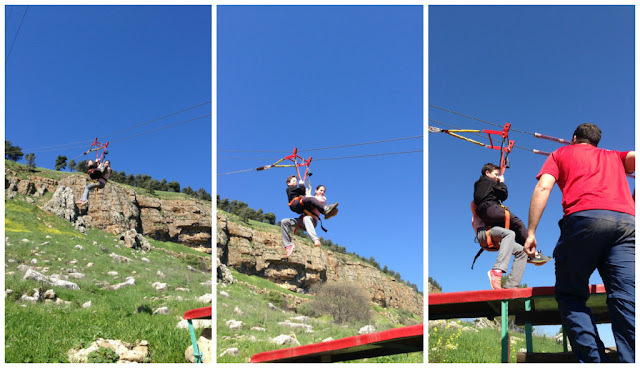 The middle station – the extreme station – this station has everything the youth and extreme lovers want – Long and fast zip-wire, snappling, climbing wall and archery. For those who don’t want or can’t do any of these, they can sit in the shade and play backgammon. 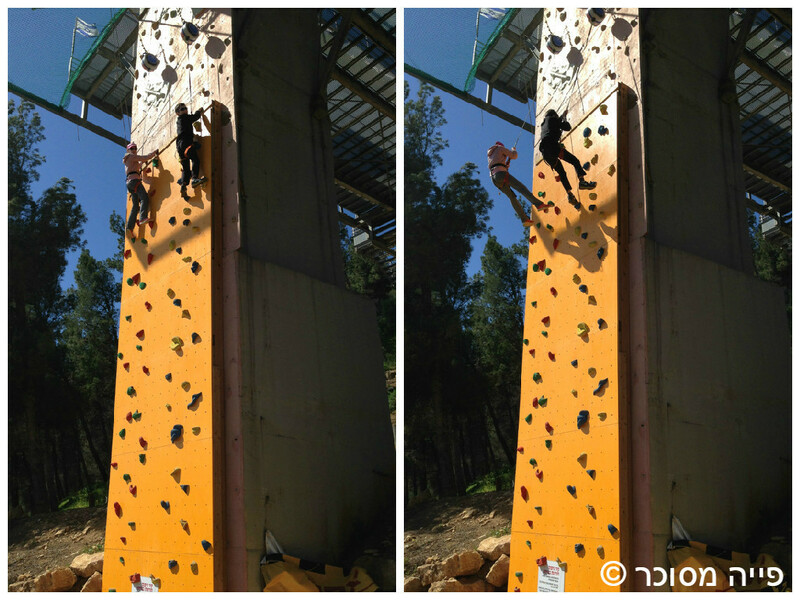 The climbing wall is secured and the instructors explain how to use it and make sure that you’re safe. The zip wire is 200 long. There’s a weight limit here (30-110 kg). Therefore the children are advise to use it in pairs, with mom or a sister/brother. It is very fast and landing is on a ramp. An operator waits at the landing ramp and helps breaking loose from the harness. 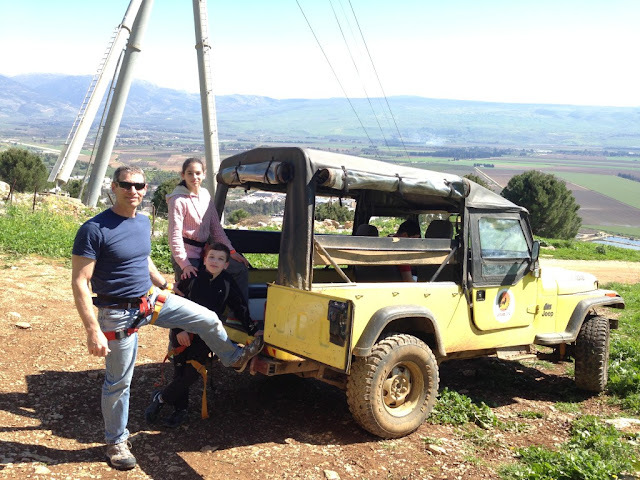 Return to the middle station is in a 4×4 car – the younger ones enjoy the unexpected country ride! The next attraction is the 42 meters snappling. This is operated by an instructor. Before going down a helmet is provided and the instructor teaches how to do it. Then, we stood on the edge of the cliff and leaned backwards…quite scary but fun! after doing it once, the children demanded more – they did it 3 times (good that it is all inclusive:))! And if you don’t yet think that it is scary – this is how it looks from the bottom up! 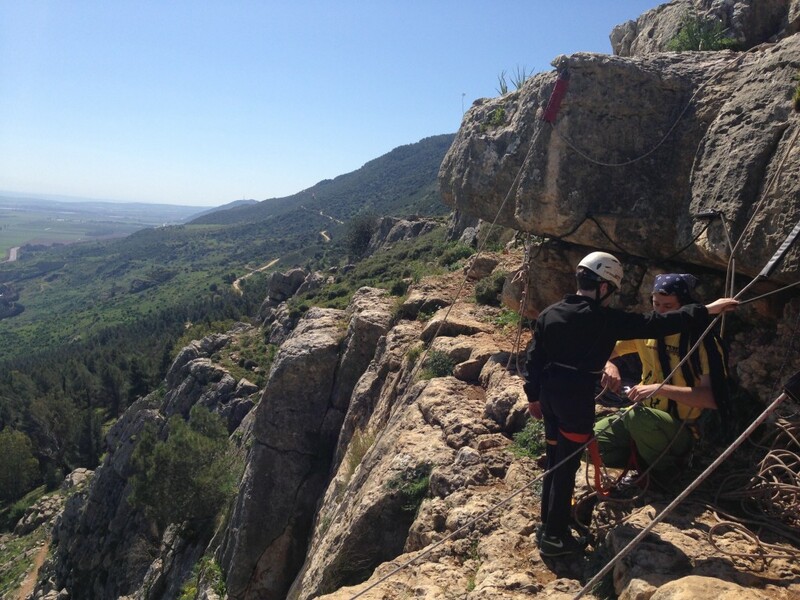 Take into consideration that after going down, you have to walk up to the middle station – this is 45 meters up. Not climbing, but walking is uphill and with many stairs. The cable car takes you to the bottom station. The bottom station – action – mountain slide and bungee trampoline. 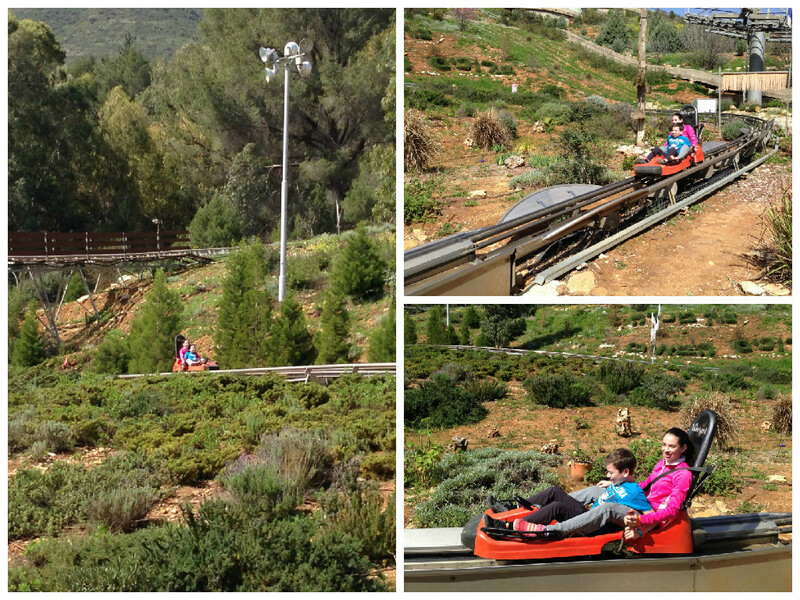 The mountain slide reaches 40 km/h and is 1200 meters long. The children did it 5 times…. 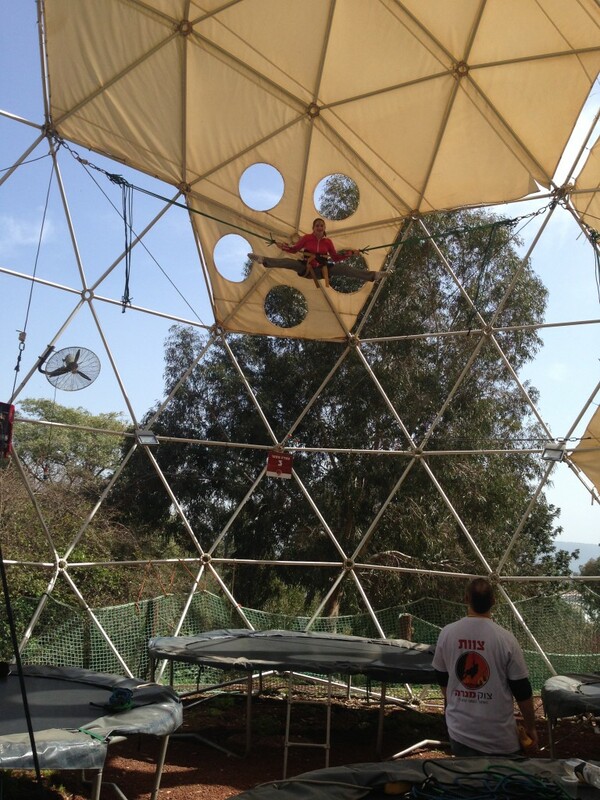 Bungee trampoline – I’m not sure how high it gets, but my daughter was very high in the air! If you get hungry during the day, you can cross the street (watch out, there’s no pedestrian crossing here!) to the mall nearby and eat (and shop as well). Just make sure when is the last cable car up so that you won’t miss it. 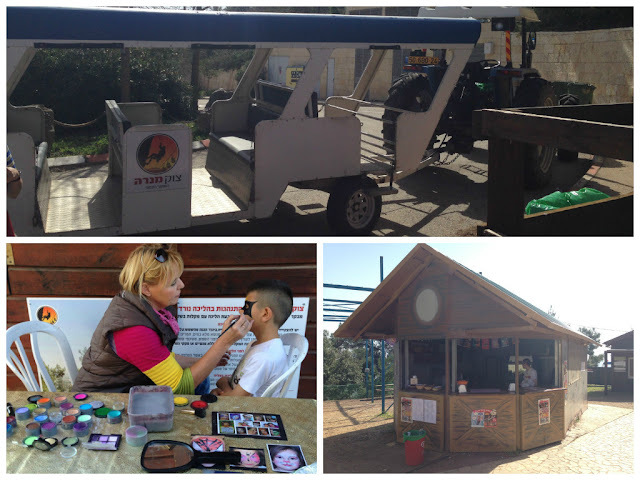 If you have a car and looking for a good place to eat, try the Cookia and Pizza Truck at Dafna. Note: The bottom and top stations are accessible but the middle station is not. In summary, you will find in Manara an excellent deal to sleep and have fun! To book a room, here’s Manara Lodge on Booking.com. 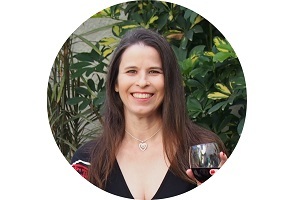 Disclosure: I was a guest of the Lodge.